In 1823, the General Assembly deeded the land and provided the funds for the first structure built on this site. The legislative act stated that the land and the funding was to be used to erect a "House of Divine Worship, free for all denominations to worship in...." The little House of Divine Worship was used by many denominations and also as a school and meeting room. As time passed the congregations grew and eventually built their own churches. In 1867, the old House of Divine Worship was moved to a new location and the Presbyterians built the church currently on the site. This building was erected at a cost of $15,000. The Early Gothic Revival styling is a rare, surviving example of ecclesiastical architectural design from the 1860's time period in this area. In 1970 the Presbyterians built a new church. 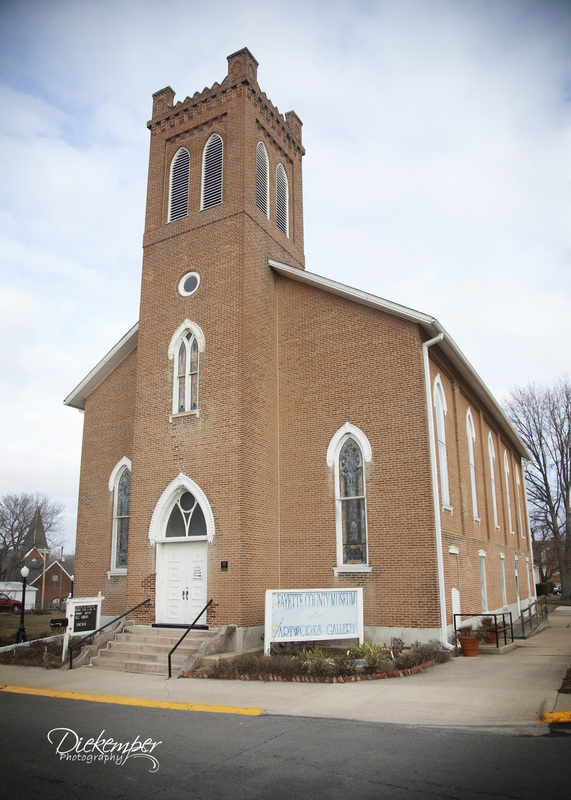 Historical Vandalia, Inc. purchased the old building with plans to open a museum. On June 10th, 1979, the Fayette County Museum was opened to the public for the first time. Staffed by volunteers and operating on donations, the museum is one of Vandalia, Illinois' major tourist attractions. Each year thousands of school children and tourists have the opportunity to view artifacts dating back to the days when Vandalia was the Capital of Illinois from 1819 to 1839. In 1982 the building was placed on the National Registry of Historic Places. The first floor of the museum, one large room, has been divided into 10 small rooms. Each room is decorated to a different area of living; and displays the history of the county. All artifacts have been donated. Upstairs the 1,902 pipes of the original organ may be viewed. In 2014, St. Francis Catholic Church of St. Francisville, IL was to be torn down. The congregation gave the 1917 pipe organ and all its pipes to the museum. This is a Wicks Organ made in Highland, IL and is similar to the original organ of this church. There is also a teller’s cage from the First National Bank, believed to be an 1865 cage. Other items are also housed at this level.